Looking for a new spot to get yoga and more? A new business is here to help. The fresh addition to Fairmount, called The Rabbit Hole, is located at 1733 Spring Garden St. This newcomer is a passion project from its owner, who created her own studio and brand after years of yoga practice and stints working in ashrams in India and Nepal, the business writes on its website. 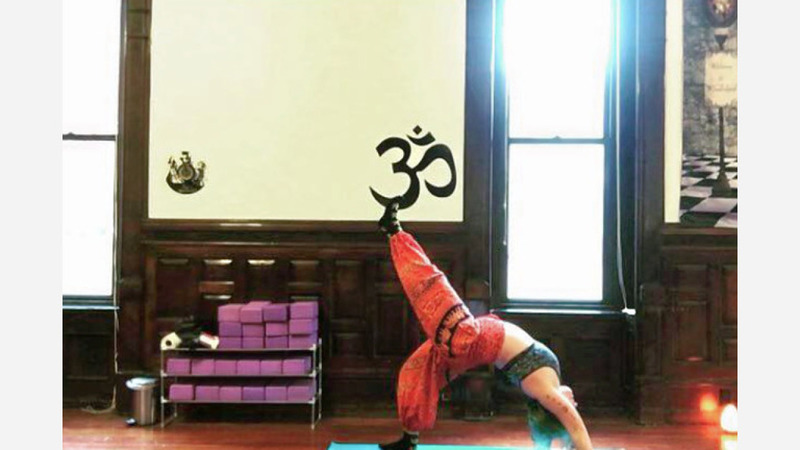 Expect to see a variety of classes on offer for folks of all skill levels, like power flow, sound healing and sound bowl meditation, hatha yoga and more. (Take a look at the full schedule of classes here.) There's also a wine and yoga social event every Friday night for beginners and advanced members alike. In addition to the yoga studio, the space features an art gallery and meditation zone. The newcomer has gotten an enthusiastic response thus far, with a five-star rating out of two reviews on Yelp. Michael D., who was among the first Yelpers to review the new spot on February 22nd, said: "Incredible--absolutely incredible! Everything from the instructor--Alley--to the studio itself was perfect. Would very highly recommend to anyone interested in yoga." Yelper Maggie G. added: "Love the vibe in this space--it's completely warm, welcoming, and peaceful. This studio is an awesome addition to the neighborhood!" Head on over to check it out: The Rabbit Hole is open weekdays from 6am-8:30pm, and weekends from 9:30am-4pm.